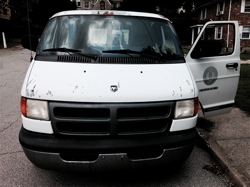 I went north to Williamstown, KY, this past week, near Falmouth, driving a State of Kentucky half-ton cargo van, the ones that look like prisoner transport vehicles, so I could haul some equipment back to Frankfort. The one I drove the week before had 96,000 miles and the side view mirrors collapsed repeatedly inward from road vibrations until each rested against the driver’s side and passenger’s side windows, rendering my rear visibility to nil. 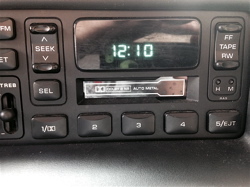 My van this week was a spring chicken in comparison at 66,000 miles, and came with an actual working cassette player. I still have a significant tape collection, with the majority on durable Maxell XLII-S cassettes. I pulled a mix I made that was full of late 1970s and early 1980s tunes, in honor of finding a functioning cassette player in a vehicle. There was stuff like The Greg Kihn Band, the Atlanta Rhythm Section, Elvis Costello and Bob Marley. This classic live version of “Use Me,” from Bill Withers, and “Love is Like Oxygen,” from British glam rockers Sweet, particularly jumped out. Nice to hear all this music while out driving about again through Kentucky’s beautiful countryside. This entry was posted in Music, Travel and tagged Bill Withers, Maxell XLII-S, Sweet, The Greg Kihn Band. Bookmark the permalink.